Norwegian telco Telenor has unveiled plans to acquire a majority 54% stake in Finland’s DNA for $3.1 billion. The move is widely interpreted in the financial media as a bid to rival Swedish counterpart Telia dominance in the Nordic region. Although the price is a bit higher than expected, DNA is an attractive broad-based business. It is the third largest mobile operator in Finland, with 2.9 million subscribers (a 28% market share). It is also the second largest broadband service provider and operates the country’s biggest cable TV service. In 2018, it reported robust revenues of €912 million, and is among the top ranked brands in Finland. 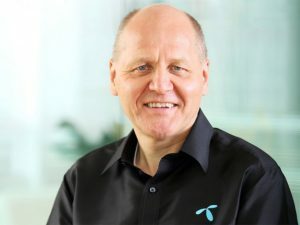 Telenor, headed by CEO Sigve Brekke, expects the transaction to be completed during the third quarter of 2019. It also says that once completed, the transaction will trigger a mandatory public tender offer for the remaining shares in DNA by Telenor.